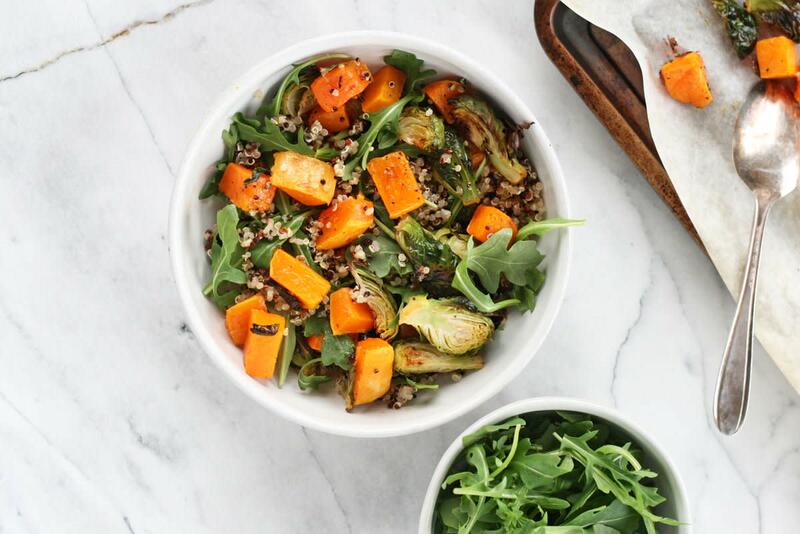 This vegan and gluten-free warm Brussels sprouts quinoa salad with butternut squash, arugula, and balsamic mustard dressing is the perfect hearty meal on cold, winter days. 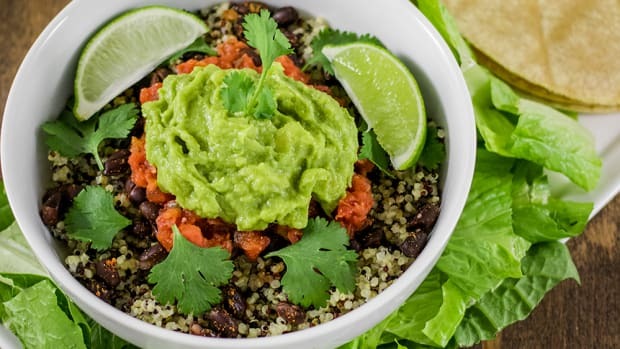 Made with just a handful of fresh ingredients and a few pantry staples, this perfect plant-based quinoa salad is ready to devour in less than 30 minutes. Quinoa is the ultimate healthy pantry staple. This grain-like seed can be used for breakfast (quinoa breakfast bowl, anyone? ), lunch, or dinner and offers plenty of plant powers, too. Considered one of a few plant foods that deliver a complete protein, quinoa is also rich in fiber, vitamins, and minerals. Quinoa contains magnesium, B vitamins like folate, iron, potassium, calcium, vitamin E, phosphorus, copper, and zinc, among others. 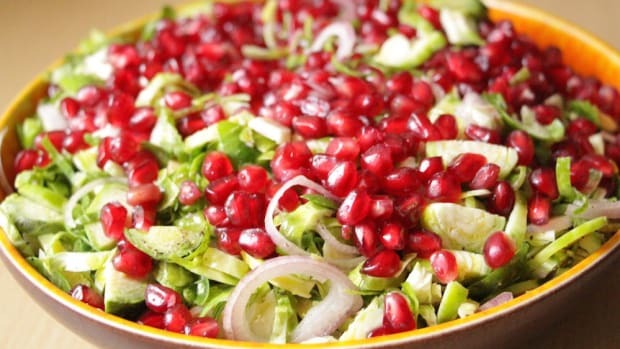 The seeds are also rich in antioxidants like quercetin and kaempferol, which have been extensively studied for their anti-inflammatory benefits and reduced rates of cancer, cardiovascular disease, diabetes, and obesity. Gluten-free quinoa is combined with avocado oil roasted Brussels sprouts and butternut squash to make an easy, warm quinoa salad. 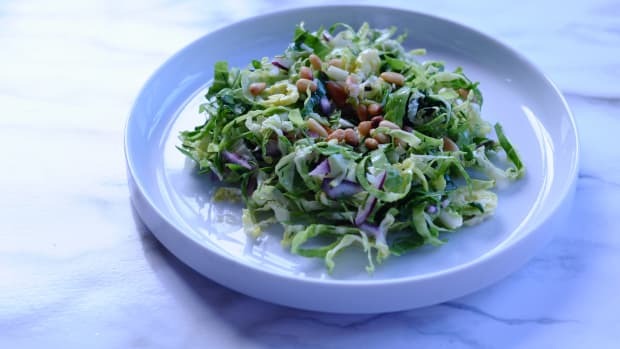 Brussels sprouts, a type of cruciferous vegetable, are packed with antioxidants, vitamins and minerals, and anti-cancer properties. 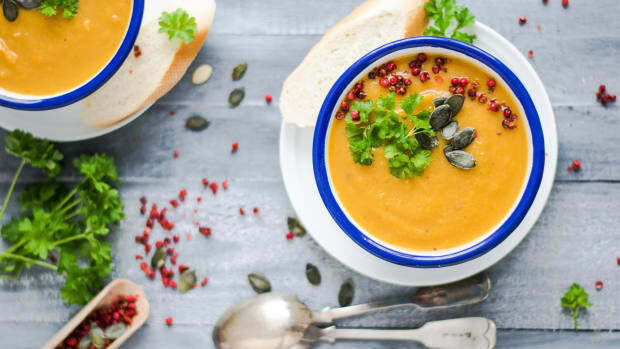 Butternut squash is rich in the vitamin A precursor, beta-carotene, and contains other beneficial nutrients, too. 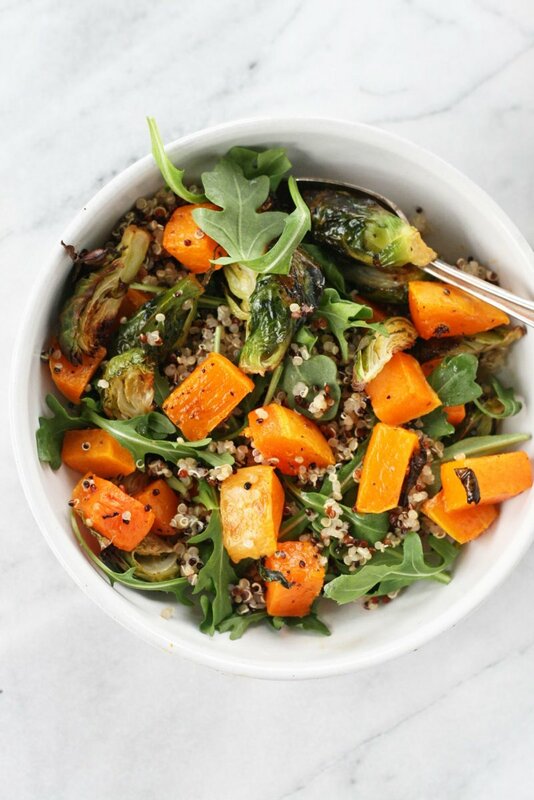 Roasted and caramelized butternut squash and Brussels sprouts are combined with warm tricolor quinoa, peppery arugula, and a simple dressing made with grainy mustard, extra virgin olive oil, and balsamic vinegar to make a deliciously simple recipe. 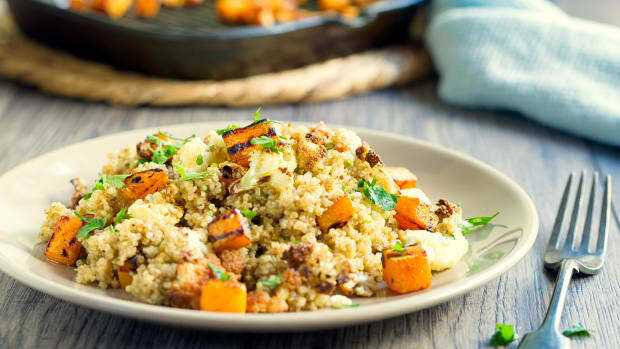 This butternut squash and Brussels sprouts quinoa salad is the perfect plant-based way to create a hearty and nourishing meal. If making your own salad dressing just isn&apos;t your thing or you don&apos;t have the time, try our healthy recommendations for store bought salad dressings, there are five! . Note that using store bought dressings will change the flavor profile and nutrition value of the recipe. Preheat oven to 425F and line a large baking tray with parchment paper. Set aside. Add vegetable broth or water to a small pot and bring to a boil. Stir in quinoa and return to a boil. 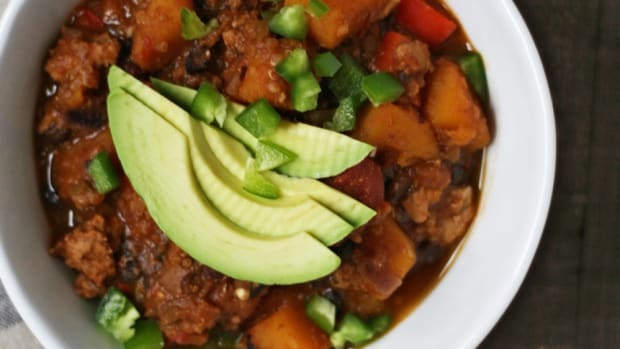 Cover, reduce heat to low, and simmer for 15 minutes. Once quinoa is cooked, remove from heat, and let sit covered for five minutes before fluffing with a fork. While quinoa is cooking, add cubed butternut squash and Brussels sprouts to lined baking tray. Drizzle with avocado oil and sprinkle with sea salt and pepper. Roast vegetables for 20-30 minutes, or until soft and crisped. Remove from oven. Make dressing for quinoa salad: combine olive oil, balsamic vinegar, and mustard. Whisk vigorously to combine until smooth and thick. Season with sea salt and pepper. Add cooked quinoa to a large bowl. 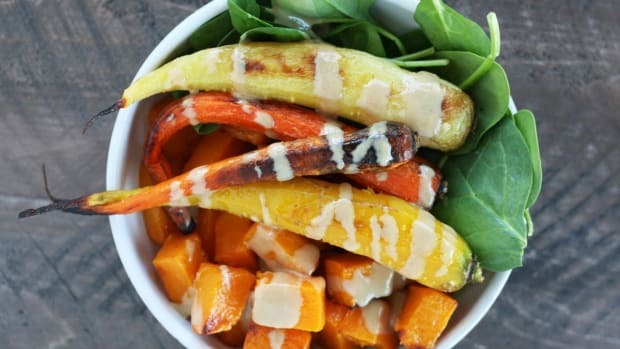 Add in cooked vegetables and drizzle with mustard balsamic dressing. 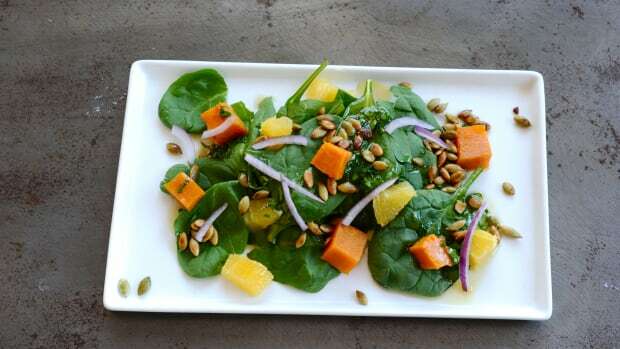 Stir in arugula until just combined.